The decline in European sheep and goat farmers is a complicated agricultural challenge that requires solutions and innovation to reverse. The complexity of this challenge means that a multi-stakeholder approach is required to understand how to prioritise each component of the challenge and find appropriate solutions. 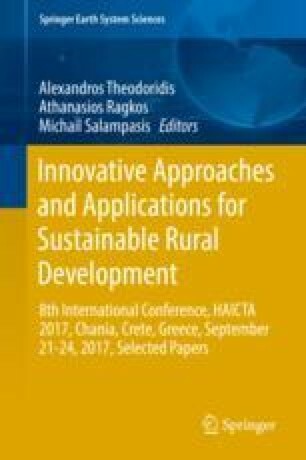 The multi-stakeholder approach used in this research included semi-structured interviews with 47 sheep and goat farmers. Additionally, a survey and 3 workshop discussions were done with stakeholders from 28 research and industry organisations. All stakeholders agreed that improvement of the market for sheep and goat products was the most important priority. Industry representatives and researchers, however, suggested breeding programmes and availability of labour as important, whilst farmers suggested cost of production, solutions for predators and animal health were more important. Additionally, innovations that industry representatives believe should be tested are for breeding, collection of farm data and reproduction despite marketing and processing being the main priority. This mismatch is probably because these stakeholders do not have the capacity to test innovation or solutions related to marketing and processing of products. The multi-stakeholder approach was effective at identifying key priorities and potential solutions that can be used to make sheep and goat farms more sustainable. More solutions related to product marketing and processing could have been identified if the research included stakeholders specialising in these areas. This work is part of the iSAGE Project (http://www.isage.eu/), with financial support from the European Union’s Horizon 2020 research and innovation programme under grant agreement No 679302. We also thank Professor Raffaele Zanoli for providing access to the Qualtrics survey platform (Qualtrics 2016), which was used for the development of the on-live survey used in this work.